Perhaps the oldest school (madrasa) in the technical sense of the word was the Niẓāmia. As confirmed by consensus of historic sources, it was built by the Seljuk minister Niẓām-ul-Mulk in 462 AH (1069 CE).14 The Niẓāmia had its etiquettes, formalities and traditions, involving scholars, learners, endowments and student accommodation. Advancements which took place in the Niẓāmia, particularly in teaching methods, were a result of Niẓām-ul-Mulk’s exertion of state control on schools. This condition continued with schools established after his reign. Niẓām-ul-Mulk took care to ensure remuneration for students, teachers and maintenance of schools. He abolished tuition fees that had previously been imposed on students, transferring responsibility to the state. All of these developments preceded the founding of the Mustanṣiria and provided it with a vast repository of traditions. From its onset, the Arabic-Islamic education movement operated within the framework of specific traditions. These traditions were constrained by the needs, circumstances and historical background of society at that time. Even during periods of foreign intrusion and the caliphate’s weakness, most Abbasid caliphs had an enthusiasm and almost obsessive love for knowledge which permeated the ages.. Perhaps the most telling evidence for this is the establishment of the Mustanṣiria. The Mustanṣiria was chosen as a model, as within it, scholarly traditions became prominent and established. This was in terms of teaching, pedagogical and administrative systems, as well as other traditions. Inauguration of schools involved etiquettes and traditions demonstrating the caliphs’ commitment and patronage of learning. The Mustanṣiria’s inaugural ceremony was elaborate to such an extent that it had set an example for future schools. Later that day, the school was divided into four quarters. The quarter to the right of the qibla was given to the Shāfi’īs. The second, to the left of the qibla, was given to the Ḥanafīs. The third, to the right as one enters, was given to the Ḥanbalīs. The fourth quarter, to the left as one enters, was given to the Mālikīs.39 The lodgings and rooms were then occupied. the Mount Sinai of every great speaker. All schools pale in comparison when one sets eye on it. Education was previously conducted in disparate locations; mosques, scholars homes, and houses of knowledge. It had thus incurred no such expenses as to warrant the charting of day-to-day finances. School endowments became so vast that the traveller Ibn-Jubayr, whilst passing through Baghdad, said: “These schools – the schools of Baghdad – have great endowments, and protected properties, controlled by the jurists and teachers. With it, they support the students and their needs”.45 Thus, endowments came to be a firm tradition in founding schools. Accordingly, sources confirm that when al-Mustanṣir built his Mustanṣiria, he allocated it vast endowments. Qasr Sumaika50, measuring 3700 jarībs. Al-Jamad51 and all of its settlements, an area of 6400 jarībs. Al-Ajamah, all of it, an area of 5050 jarībs. Nahr al-Malik Barafta, all of it, an area of 5500 jarībs. The Bedouin district, an area of 390 jarībs. Qusitisha, an area of over 3000 jarībs. Qaryat Yazeed, all of it, an area of 4180 jarībs. The district of Tabsani, an area of 8100 jarībs. Susta, an area of 3000 jarībs or more. The district of Arha’, an area of 4000 jarībs. Al-Farrashah, an area of 1000 jarībs. Qaryat al-Nahrayn, an area of 1200 jarībs. Al-Khattabiyah, an area of 4800 jarībs. The district of Bizindeen, an area of 6500 jarībs. Al-Shaddadiyah, an area of 20250 jarībs. 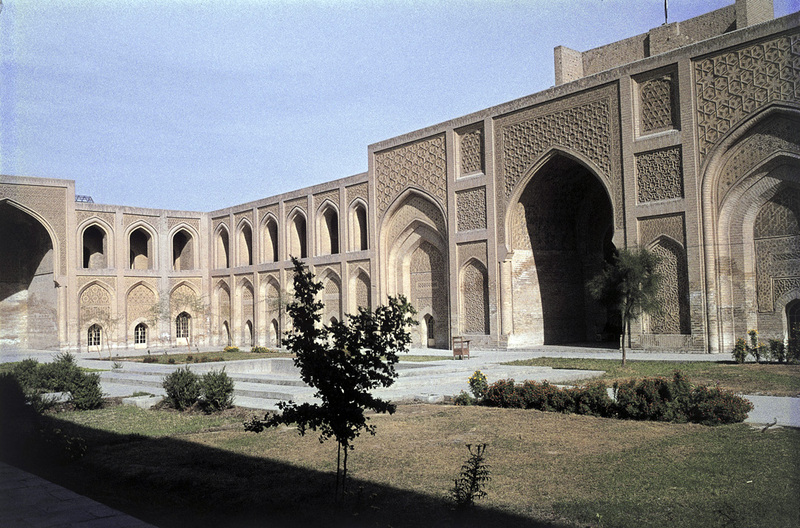 Hisn Baqia, an area of 4800 jarībs. 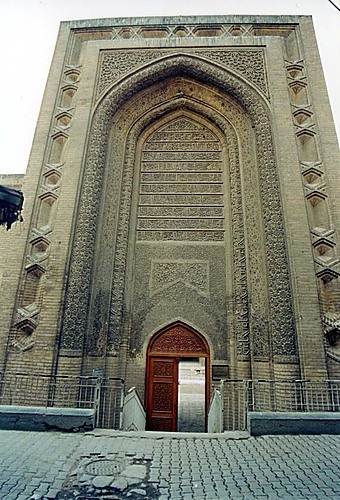 Hisn Khorasan, 5900 jarībs, and an additional 7200 jarībs. Al-Nasiria, all of it, 190,000 jarībs. Those within it [are an example to behold?]. You were at your prime. After such greatness and honour. Till their soft fruits were no more. But anguish and dry fibres. Recalled by the storytellers of Baghdad. From one fine tale, another. Now all survive on bread (?). 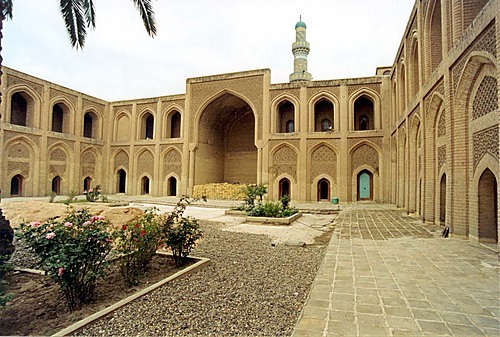 The Mustanṣiria was the first university in Iraq, and the first Islamic university to combine the four schools of thought within one building.59 In addition to the magnitude of its scholarly divisions, it provided a full board so that each of its affairs attained elaborate management and diverse services. A proficient reciter, [morally] suited to the Qur’ān. A fellow to aid him in his duties, teaching students the Qur’ān. A number of students, and 30 orphan children to learn the Qur’ān, with help from the fellow. A senior scholar (shaykh) of ḥadīth, of high status in the chain of narration. Two readers (qāri’) and ten others working in the field of ḥadīth. That he employs ten Muslims in the field of medicine. Ibn al-Fūti narrates that this medical school was constructed two years after the Mustanṣiria, and that it entered operation after the completion of the īwān opposite the Mustanṣiria, and the suffa in which the physician would sit, along with his group of practitioners and the patients. Witness to the importance of this medical school, Ibn al-Fūti describes the physicians’ examinations upon the arrival of “physician Majd-ud-dīn Ibn al-Sabbagh al-Baghdādi in 688 AH (1289 CE), with a decree to examine the physicians and pharmacists of Iraq. Whoever he deems satisfactory, he approves his work, and whoever he deems unsatisfactory, he replaces with another whom he deems capable of practice, providing treatment and preservation of health and humour”. That the school contain a senior scholar of grammar, working in the field of the Arabic language. In addition to the aforementioned scholarly divisions, other fields such as inheritance, mathematics and all that relates to religious studies were also taught in the Mustanṣiria. However, it seems that these were not assigned a formal location, also. Some historians make reference to the existence of these fields in its curricula, and some, including inheritance and mathematics, were mentioned to have been part of its endowment conditions. I have seen the store adorned. to compile them; the compiler did not lie. it is so lavish it has no coast. and in it is our end and perfection. The book store in the Mustanṣiria was of crucial importance, disseminating knowledge for many years through its valuable and rare contents. 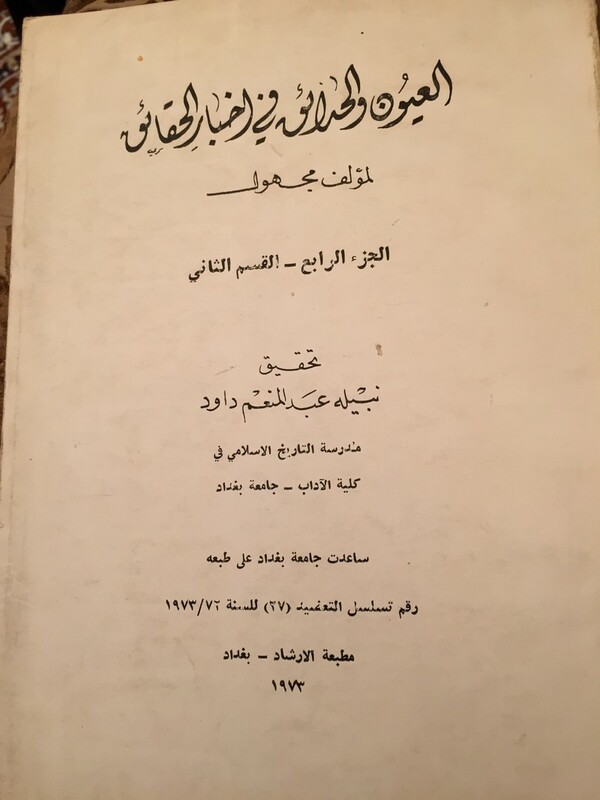 Hājī Khalīfa (Katip Celebi) mentions in 14 volumes and his original handwriting, it contained a complete copy of the history of al-Khatīb al-Baghdādi 91. The supervisor (mushrif), was second in command after the store-keeper. Excel at presenting lessons, such that those in attendance understand it in a way suited to their own cognitions. Understand the topic of the lesson, as his shortcoming in this regard would disrupt the educational process, allowing those who are unfit to encroach upon the noble profession. Elaborate explanations, discussions and comments, giving his specialist topic the consideration it deserves. Take care not to contradict his statements with his actions, such as forbidding something and partaking in it. Preserve the science and keep it free of greed. As well as numerous other qualities, a complementary set for the student was also outlined. Upon completion of education, the student was awarded a licence (ijāza). The learner could [alternatively] become certified – awarded a shahāda – without attending lessons. Due to the size of the school, and its numerous specialisms, a committee was required for its management, and another for its service and administration. Thus, its teaching staff were complemented by an administrative committee, consisting of a dean (nāẓir), a supervisor (mushrif), and an official (kātib). These numerous roles reveal the advanced services this school enjoyed, state patronage of knowledge and those working to attain it. Other staff, according to the author of al-‘asjad[vi] say that they were allocated bread and salaries, “all at the specification of the benefactor”.122 No mention of their wages is made in any source; it seems they were all quite low and consistent between roles. Attention was paid to institute regulations requiring students and teachers to preserve the school’s furnishings, books and equipment. Thus, the Mustanṣiria was a point of pride for Arab-Islamic culture, and a centre of knowledge and culture. It was a school of knowledge and life; an effective instrument of societal service. From its galleries, many who had studied there graduated, and many continued to teach. It produced great names which passed down knowledge through the generations, including al-‘Aqūli, and al-Jawzi. 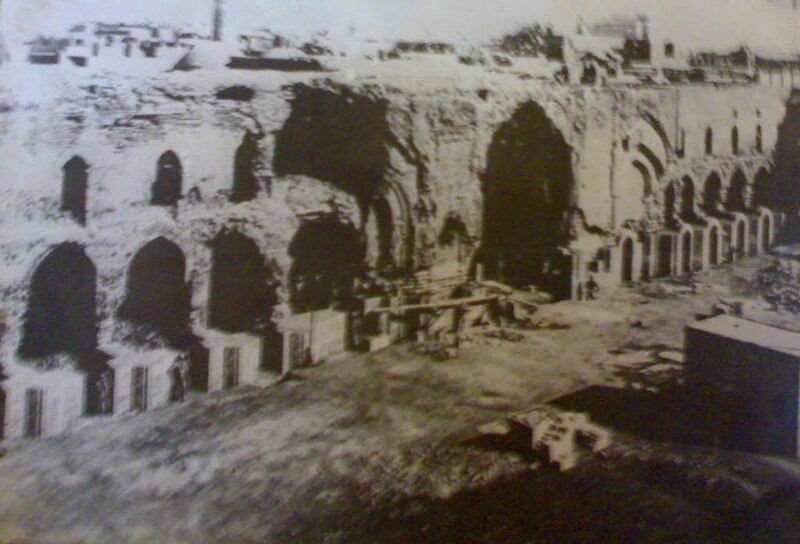 Historians such as ibn al-Sā’ī, ibn al-Najjār (the historian of Baghdad), and ibn al-Fūti. Jurists innumerable. Famous physicians, mathematicians, geographers, astronomers, calligraphers, exegetes, auditors, and travellers such as ibn Faḍlān. It was also the destination of many scholars who set out to attain scholarly licenses from its senior scholars. The Mustanṣiria was an instrument for serving society, sharing in its ease and hardship. It hosted festive receptions for Baghdad’s guests of honour, as well as funeral ceremonies. Within it were held assemblies to discuss grievances, and disputes were resolved. It stood boldly, a lofty tower, affirming the greatness of Arabic-Islamic culture. It was renowned as the best of all schools and the subject of many proverbs. 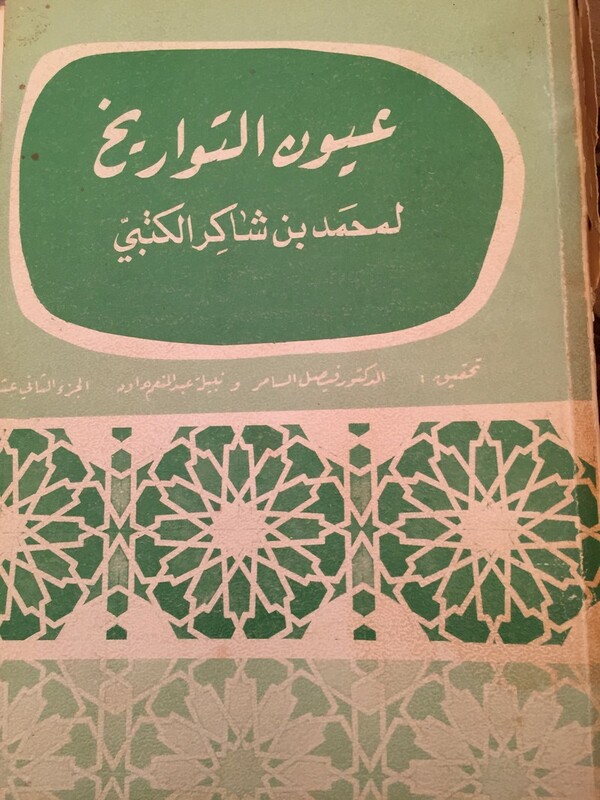 د.عماد عبدالسلام رؤوف : مدارس بغداد في العصر العباسي ، بغداد 1966،ص2. د.حسين علي محفوظ : صورة الاستاذ الفاضل في التراث ، بحث ضمن الوقائع الكاملة لندوة مكانة الاستاذ في التراث ، بغداد ، مركز احياء التراث – جامعة بغداد 1988 . د. صالح احمد العلي : العلوم عند العرب ، بيروت ، مؤسسة الرسالة ص22. احمد عبدالغفور عطار : آداب المتعلمين ورسائل اخرى في التربية ، بيروت 1967،ص15. محمد بن الحسن الحضرمي (ت489هـ) : الاشارة الى ادب الامارة ، تحقيق د.رضوان السيد ، بيروت ، الابواب :الباب الاول في الحض على القراءة والتعلم ص50-51، الباب الثاني في آداب النظر والتفهم ص55-59 . وليد بن محمد التدمري (ق4هـ) : في السياسة والاداب مخطوط مصور اعمل على تحقيقه ، الباب (18) في الخط والتعلم ، الورقة 32 ، الباب (19) في الادب ، الورقة 33، الباب (20) العلم وفضله الورقة 35 . احمد بن جعفر بن شاذان (ق7هـ) : ادب الوزراء دراسة وتحقيق نبيلة عبدالمنعم داود (تحت الطبع) : باب في فضل الكتابة ، الورقة 8 ب ، باب في ادب الكتابة الورقة 10ب ، باب في ما جاء في بري العلم والمداد والختم ، الورقة 12ب . الملك الافضل العباس بن علي بن رسول الغساني (ت778هـ) : نزهة الظرفاء وتحفة الخلفاء دراسة وتحقيق نبيلة عبدالمنعم داود ، بيروت ، دار الكتاب العربي 1985 . الباي (3) فيما لايسع الملوك والرؤساء جهله من انواع العلوم ص22 وفيه رسالة طريفة للجاحظ (ت255هـ) في مدح العلوم ص54-55. د.نوري القيسي ود.حاتم الضامن : البحث والمكتبة ، بغداد ص24 . آداب المتعلمين ص12، د.عبدالله عبدالدائم : التربية عبر التاريخ ، بيروت ، ص263 . التربية عبر التاريخ ، ص263. انظر خليل طوطح : التربية عند العرب ، القدس ، احمد فؤاد الاهواني : تاريخ التربية في الاسلام ، القاهرة . علي بن محمد الماوردي (ت450هـ) : الرتبة في طلب الحسبة مخطوط مصور ، مكتبة الدراسات الاسلامية العليا ، كلية الاداب ، الورقة 96أ . انظر : محمد بن سحنون (ت256هـ) : آداب المعلمين ، ضمن كتاب آداب المتعلمين بيروت 1967. 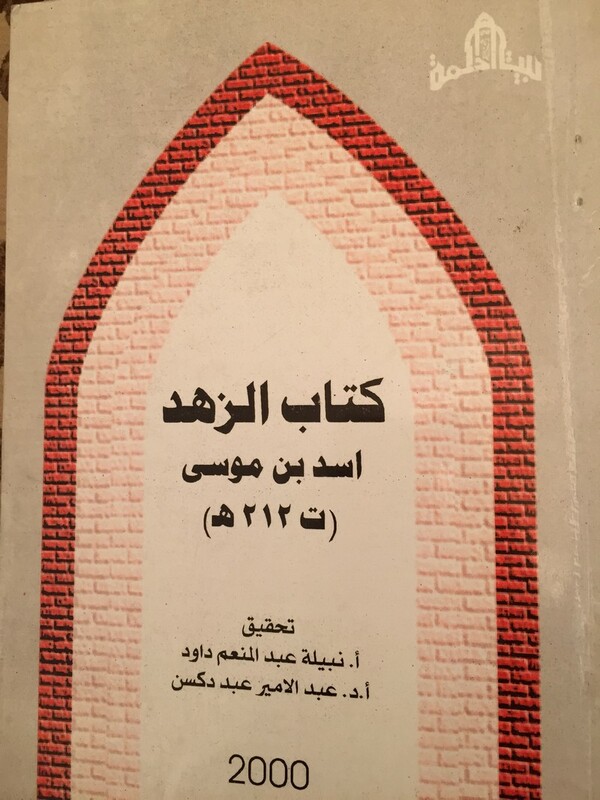 ابن بسام المحتسب : نهاية الرتبة في طلب الحسبة (ضمن كتاب في التراث الاقتصادي) الباب (75) في معلمي الصبيان ومعلمات البنات ص441. المغراوي (ق10هـ) : جامع جوامع الاختصار والتبيان فيما يعرض بين المعلمين وآباء الصبيان ، تحقيق د.عبدالهادي التازي ، المغرب . 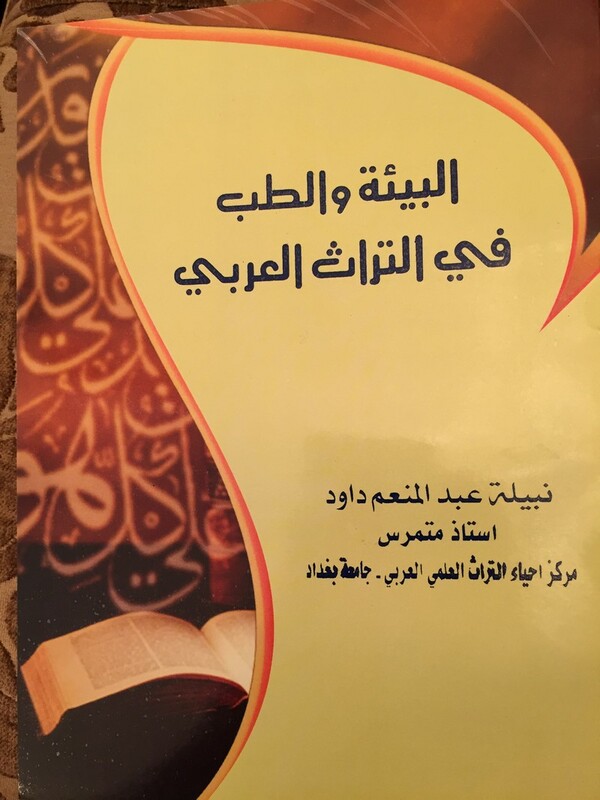 بدر الدين ابن جماعة الكناني (ت732هـ) : تذكرة السامع والمتكلم في اداب العالم والمتعلم (نشر ضمن كتاب آدايب المتعلمين ) . ليفي بروفنسال : ثلاث رسائل اندلسية في الحسبة والمحتسب ابن عبدون ، والسقطي ، وابن عبدالرؤوف الجرسيفي ، القاهرة 1955. د.عبدالامير شمس الدين : الفكر التربوي عند ابن سحنون والقابسي ، بيروت ، دار اقرأ 1985. جمال الدين الالوسي : الاسس النفسية لاراء الماوردي التربوية ، بغداد 1988. انظر : د.ناجي معروف : مدارس قبل النظامية ، بغداد ، التربية الاسلامية د.احمد شلبي ، د.عماد عبدالسلام : مدارس بغداد في العصر العباسي . 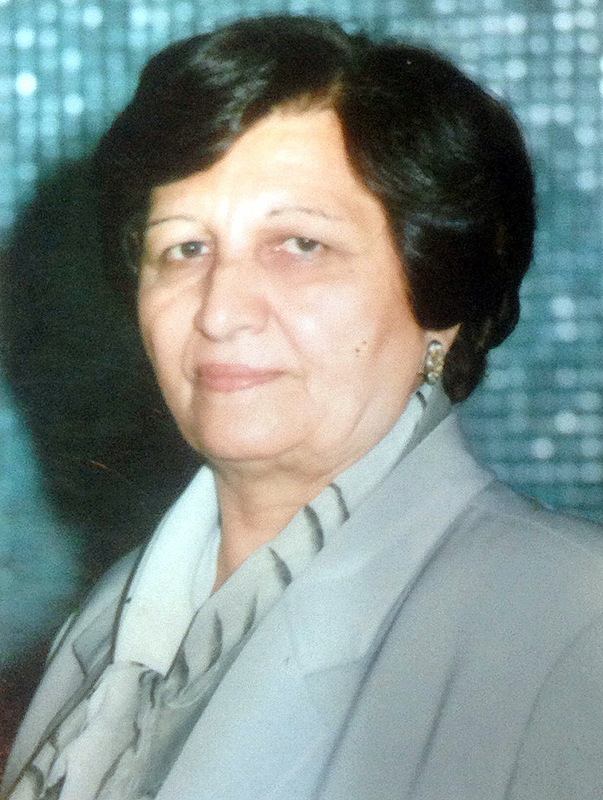 ابو الفرج عبدالرحمن ابن الجوزي(ت597هـ) المنتظم طبعه حيدر آباد الدكن ،ج8، ص256، ابو الحسن علي بن ابي الكرم ، ابن الاثير (ت630هـ) : الكامل في التاريخ ، طبعة الاستقامة ، احداث 462هـ وبقية الاصول التاريخية المعروفة . مدارس بغداد في العصر العباسي ص14 . مصطفى بن عبدالله ، حاجي خليفة (ت1067هـ) : كشف الظنون عن اسامي الكتب والفنون ، بغداد ، مكتبة المثنى . مدارس بغداد في العصر العباسي ص15 . محمد بن احمد بن جبير (ت614هـ) : رحلة ابن جبير . مؤلف مجهول : نبذة من كتاب التاريخ ، موسكو ، معهد الدراسات الشرقية ، موسكو، الورقة6 . عبدالرزاق بن احمد بن محمد بن الفوطي (ت723هـ) : الحوادث الجامعة والتجارب النافعة في المائة السابعة (منسوب) تحقيق د.مصطفى جواد ، بغداد 1351هـ ، ص58-59 ، سنبط قنيتو الاربلي (ت717هـ) : خلاصة الذهب المسبوك ، بغداد ، مكتبة المثنى ص286-287، شمس الدين ابو عبدالله محمد ابن ابراهيم بن الجزري (ت739هـ) : المختار من تاريخ ابن الجزري اختيار الذهبي ، دراسة وتحقيق خضير عباس المنشداوي ، بيروت ، دار الكتاب العربي 1988، ص150 . ترجمته في :خلاصة الذهب المسبوك الاربلي (ت717هـ) ،ص285، عماد الدين اسماعيل ابو الفدا (ت732هـ) المختصر في اخبار البشر ، القاهرة، المطبعة الحسينية 1323هـ، ج3،ص173 ، المختار من تاريخ الجزري ص150 ، محمد بن احمد بن عثمان بن قايماز ، الذهبي (ت748هـ): تاريخ الاسلام الطبقة (64) دراسة وتحقيق د.بشار عواد معروف ود.صالح مهدي عباس ، بيروت ، مؤسسة الرسالة ، ص6 ، عبدالعظيم بن عبدالقوي المنذري (ت656هـ) : التكملة لوفيات النقلة ، تحقيق د.بشار عواد معروف ، بيروت ، مؤسسة الرسالة ، ج3، ص607 ، ابو محمد عبدالله بن اسعد اليافعي (ت768هـ) : مرآة الجنان وعبرة اليقظان بيروت ،1970 ، ج4 ، ص73 ، ابو العباس اسماعيل الغساني (ت803هـ) العسجد المسبوك والجوهر المحكوك، دراسة وتحقيق د.شاكر محمود عبدالمنعم ، بغداد ، دار البيان 1975، ابو العباس احمد بن يوسف بن احمد القرماني (ت1019هـ) :اخبار الدول وآثار الاول ، بيروت ، عالم الكتب ،ص180 ومراجع اخرى كثيرة . زار المستنصر بالله المدرسة بعد الانتهاء من بنائها سنة 630هـ وبعد افتتاحها كان يشرف على الدرس من منظرة قصره المجاور للمستنصرية . لم اتكلم عن بناء المدرسة وتخطيطها لاقتصار البحث على النظم والتقاليد ويمكن الاستفادة في هذا المجال من مراجع كثيرة منها : المدارس العباسية في العراق تخطيطها وعمارتها : كامل محمد حيدر (رسالة ماجستير لم تطبع بعد، بغداد ، كلية الآداب 1986 جامعة بغداد ) الفصل الرابع ص94-124 . شمس الدين يوسف بن قرغلي ، سبط ابن الجوزي (ت654هـ) : مرآة الزمان، حيدر آباد الدكن 1951-1952 ، ج8 ، ص729 . محمد بن علي بن طباطبا (ت709هـ) : الفخري في الاداب السلطانية ، بيروت دار صادر ،ص230 . عماد الدين اسماعيل بن عمر بن كثير (ت774هـ) : البداية والنهاية في التاريخ ، بيروت ، دار صادر 1966، ج13، ص461 . انظر : الحوادث الجامعة ص56، المختار من تاريخ الجزري ص105 ، تاريخ الاسلام للذهبي الطبقة 64، ص6 ، البداية والنهاية ج13 ،ص139 ، العسجد المسبوك ص461 . يقول الغساني في وصف هذه الدار : اما الدار المجاورة لهذه المدرسة فانه لم يرَ مثلها احد وهي احسن بناء واحكم قواعد من كل اثر اثره الخلفاء الماضون والائمة المهديون والعروس والبرج والجوسق والمختار والغريب والقلاية والبهر والبركة والجعفري والمعشوق ، العسجد المسبوك ص460 . تاريخ الاسلام ص6 ، الحوادث الجامعة ص55 ، البداية والنهاية ج13 ، ص140 ، العسجد المسبوك 461 . نفس المصادر السابقة في هامش (30) . البداية والنهاية 13/140 ، لم يذكر ان الوليمة اقيمت في الدار المجاورة للمستنصرية الا ابن الجزري . 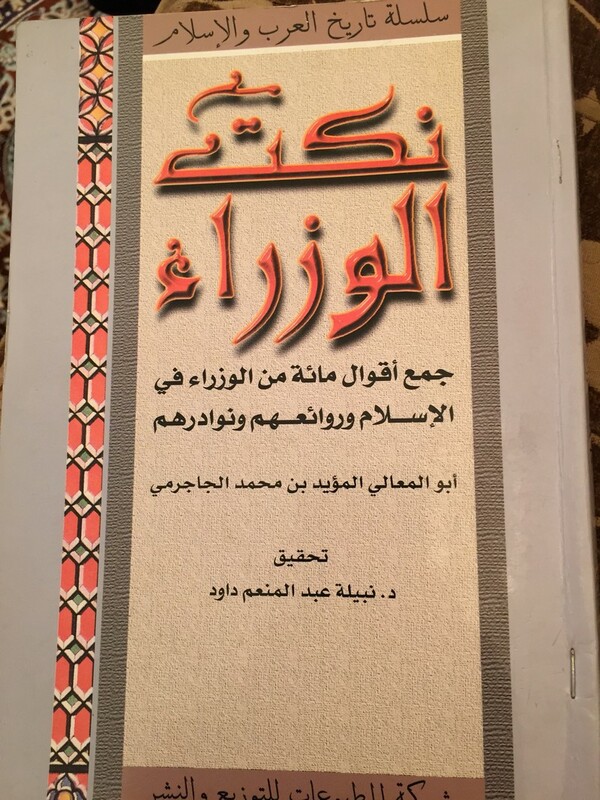 المصدر نفسه ص55، وبقايير جمع بقيار ، نوع من العمائم وهي عمامة كبيرة يعتمها الوزراء والكتاب والقضاة . رينهارت دوزي : تكملة المعاجم العربية ، ترجمة د.سليم النعيمي ، بغداد ، دار الشؤون الثقافية ،ص478. المختار من تاريخ ابن الجزري ، ص150 . هذه القصيدة من ورقة واحدة مخطوطة في خزانة مكتبة الدراسات العليا بكلية الآداب . تاريخ التربية الاسلامية ص313-314 . المرجع نفسه ص 314 . رحلة ابن جبير ص229 . العسجد المسبوك ص435، ابو الفدا ج4، ص171 . اخبار الدول وآثار الاول ص180 . قرية شمالي بغداد ، تاريخ الاسلام الطبقة 64، ص7 . * ذكر محققو تاريخ الاسلام انهم لم يستطيعوا التعرف على هذه القرى فاكتفوا بضبطها بالشكل كما وردت عند الذهبي لان النسخة التي اعتمدوها للتحقيق بخط الذهبي . 52- تاريخ الاسلام ص47 . 54- وردت القصيدة عند : محمد بن احمد بن شاكر الكتبي (ت764هـ) : عيون التواريخ20، تحقيق نبيلة عبدالمنعم داود ود. فيصل السامر ، بغداد دار الشؤون الثقافية 1984 ، ج20، ص369 ، محمد بن شاكر الكتبي : فوات الوفيات تحقيق د.احسان عباس ، بيروت ، دار صادر ، ج3،ص33. 55- علي بن انجب الساعي (ت674هـ) : الجامع المختصر في عيون التواريخ واعين السير ،ج9،ص30 : تحقيق د.مصطفى جواد ، بغداد 1934. 56- د.عماد عبدالسلام : ملامح من نظم مدارس العراق ابان العصر العباسي (ضمن الوقائع الكاملة لندوة مكانة الاستاذ في التراث ) مركز التراث – جامعة بغداد 1988 . 57- شهاب الدين احمد بن علي بن حجر (ت852هـ) : الدرر الكامنة في اعيان المائة الثامنة ، بيروت ، دار الجيل ، ج2، ص5 . 58- انظر : الحوادث الجامعة ص58-59 ، المختار من تاريخ ابن الجزري ص151 ، تاريخ الاسلام للذهبي ص6 ، ابو الفدا ج4،ص171 ، البداية والنهاية ج13،ص139 ، العسجد المسبوك 458 . 59- د.ناجي معروف : تاريخ علماء المستنصرية ، بغداد ، مطبعة العاني 1959، ج1،ص42. 60- يذكر صاحب العسجد المسبوك ص459 ان لشيخ القرآن في كل يوم (5) ارطال خبز وغرفان طبيخ وفي الشهر 3دنانير وللمعيد في كل يوم (4) ارطال خبز وغرف طبيخ وفي كل شهر دينار وعشرة قراريط ولكل صبي من المتلقين في كل يوم 3أرطال خبز وغرف طبيخ وفي كل شهر 13 قيراط وجبة . 61- الحوادث الجامعة ص51 ، العسجد المسبوك ص459 ، اما ابن الجزري ص151 فيقول لشيخ التلقين 30 درهما وللصبي في الشهر نصف دينار وشيء وثلاث ارطال خبز وطعام . 62- الحوادث الجامعة ص58 . 63- العسجد المسبوك ص459 . 64- المصدر نفسه ث459 . 65- تاريخ الاسلام للذهبي ص6 ، المختار من تاريخ ابن الجزري ص150 ، الحوادث الجامعة ص58 ، العسجد المسبوك ص460 ، ناهدة عبدالفتاح ، ايوان الطب ، بحث في مهرجان المستنصرية الاول 1985 . 66- الحوادث الجامعة 58 . 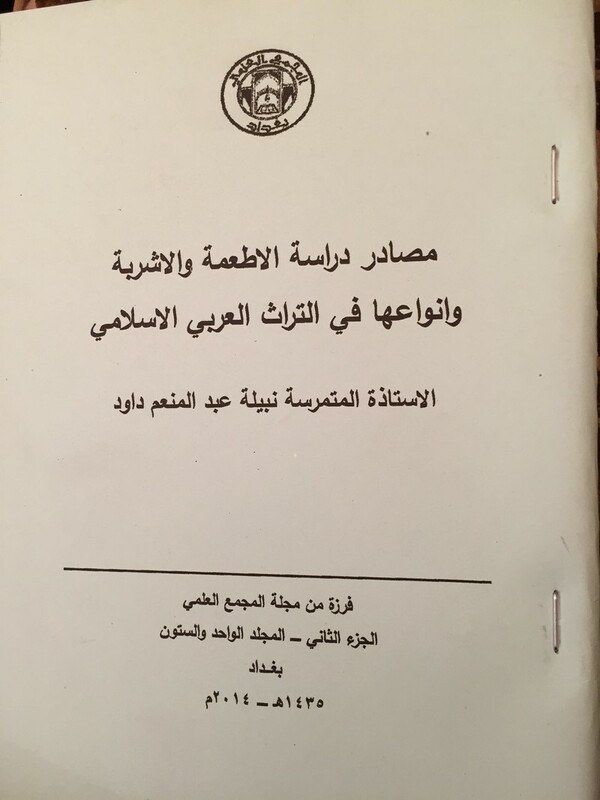 67- الحوادث الجامعة ص58 . 68- العسجد المسبوك 460 . 69- ناهدة عبدالفتاح : ايوان الطب ، د.محمد حسين الزبيدي : المستنصرية وملحقاتها ، مهرجان المستنصرية الاول 1985 . 70- د. ناجي معروف : التوقيعات التدريسية ، بغداد . 71- التربية عبر التاريخ ص162 . 72- محمد بن رافع السلامي (ت774هـ) ، منتخب المختار في تاريخ علماء بغداد ، تحقيق المحامي عباس العزاوي ، بغداد ص228 ، ويرى القرماني ان هذه المستشفى جزء من المدرسة ، آثار الاول ، ص180 . 73- العسجد المسبوك ص459 . 74- خلاصة الذهب المسبوك ص287 . 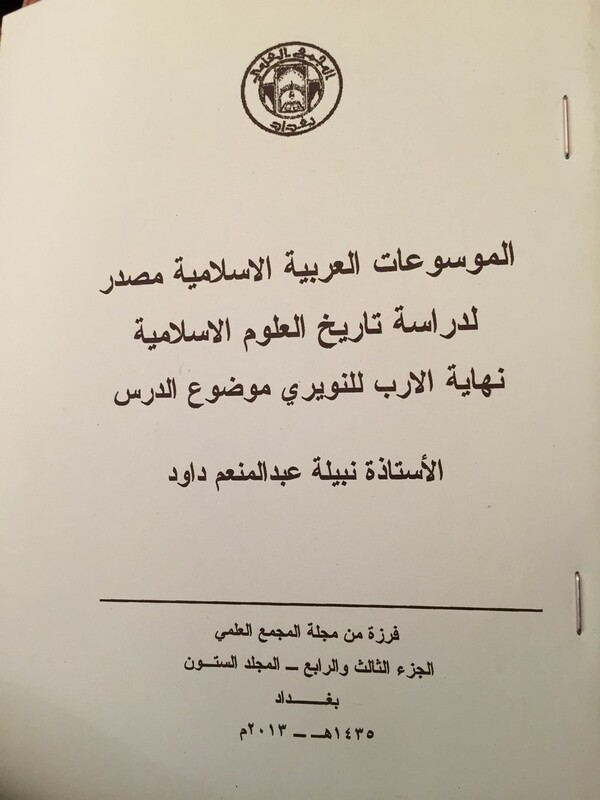 75- الحوادث الجامعة ص58 . 76- المختار من تاريخ ابن الجزري ص151. 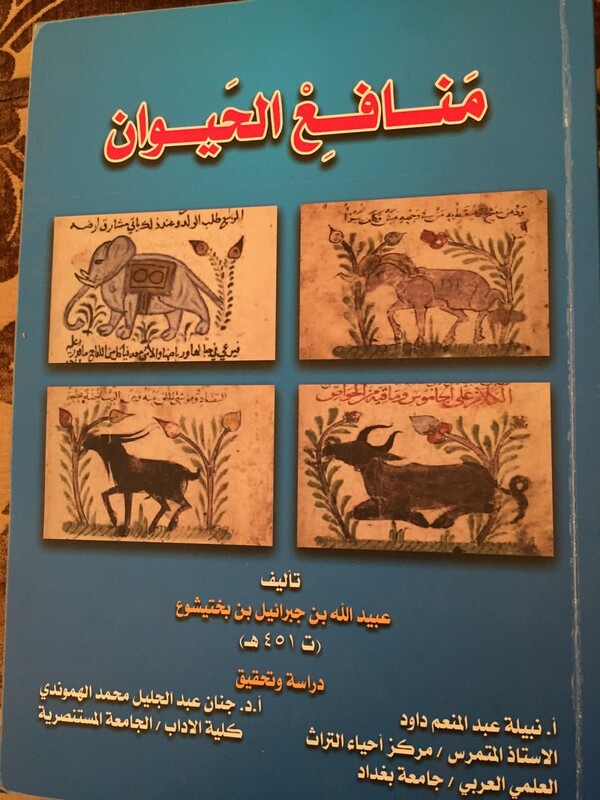 79- العسجد المسبوك ص460 . 80- تاريخ التربية الاسلامية ص115. 81- ابو الفرج عبدالرحمن بن الجوزي : صيد الخاطر ، بغداد ص366-367 . 82- خلاصة الذهب المسبوك ص286. 84- البداية والنهاية ج13 ، ص140 . 85- احمد بن علي بن الحسين ابن عنبة (ت828هـ) : عمدة الطالب في انساب آل ابي طالب ، النجف 1961 ، ص206. 86- اثبات الكتب فهرستها . 87- اعتبارها ، تسجيلها والتأكد من صحتها. 89- المصدر نفسه ص210 . 91- مصطفى بن عبدالله حاجي خليفة (ت1067هـ) : كشف الظنون ، بغداد ، مكتبة المثنى 1/171 . 92- المحامي عباس العزاوي : تاريخ الادب العربي في العراق ، بغداد ، الطبعة الاولى ، ج1،ص322. 93- عبدالوهاب بن تقي الين السبكي (ت 771هـ) : معيد النعم ومبيد النقم ، القاهرة،ص111 . ومن اشهر خزنة المستنصرية المؤرخ المشهور ابن الساعي (ت674هـ) وابن الفوطي (ت723هـ) . 94- معيد النعم ومبيد النقم ص131. 95- تاريخ التربية الاسلامية ص143، د.حسين امين : المدرسة المستنصرية 58 . 96- المرجع نفسه ص143، د.حسين امين : المدرسة المستنصرية 58. 97- التكملة لوفيات النقلة ج3 ص607 . 98- العسجد المسبوك ص459 . 99- المصدر نفسه ص459 . 100- المصدر نفسه ص459 . 101- المختار من تاريخ ابن الجزري ص151، العسج المسبوك ص458. 102- بدر الدين ابراهيم بن جماعة (ت733هـ) : تذكرة السامع والمتكلم ، طبع مع كتاب آداب المعلمين ، بيروت 1967،ص175-204 ، السبكي : معيد النعم ومبيد النقم ص105 . 104- ابن بطوطة : رحلة ابن بطوطة ، ج1 ،ص141. 105- د. ناجي معروف : تاريخ علماء المستنصرية . 106- معيد النعم ومبيد النقم ص108. 107- تذكرة السامع والمتكلم ص75-77 . 108- ملامح عن مدارس بغداد : د.عماد عبدالسلام . 110- تذكرة السامع والمتكلم ص38 . 111- المختار من تاريخ ابن الجزري ص150 . 113- المصدر نفسه ص150 . 115- تاريخ التربية ص329 . 116- تاريخ علماء المستنصرية ج1ص17 . 117- الحوادث الجامعة ص59 . 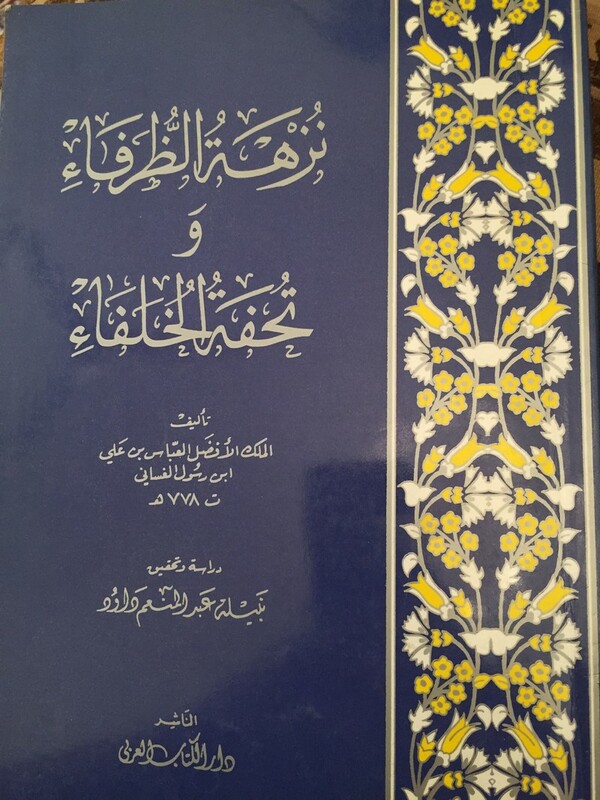 118- العسجد المسبوك ص460 . 119- المصدر نفسه ص460 . 121- المصدر نفسه ص460 . 122- المصدر نفسه ص460 . [i] Some of these villages’ names were recorded, despite their locations being lost to history. [ii] Translators note: i.e. around 300 thousand grams. At £10/gram, this would be equivalent to £3 million. [iii] Translators note: ‘the study of areas’ is often used to mean Geography. [v] Translators note: The Mu‘īd practiced i‘adah, literally ‘repetition’. Today it refers to a teaching assistant.